Protests are sweeping the nation. And people are showing up for all kinds of reasons, all across the country, including right here in Kansas City. We revisit some of our local rallies and movements to examine the culture of protest and place our current wave in historical context. On Saturday afternoon, the day after the inauguration of Donald J. Trump as the 45th president of the United States, thousands gathered in Washington Square Park for the Women's March on Washington in Kansas City. Abortion rights opponents marked the 44th annual demonstration they call the March for Life yesterday in both Washington, and Kansas City. 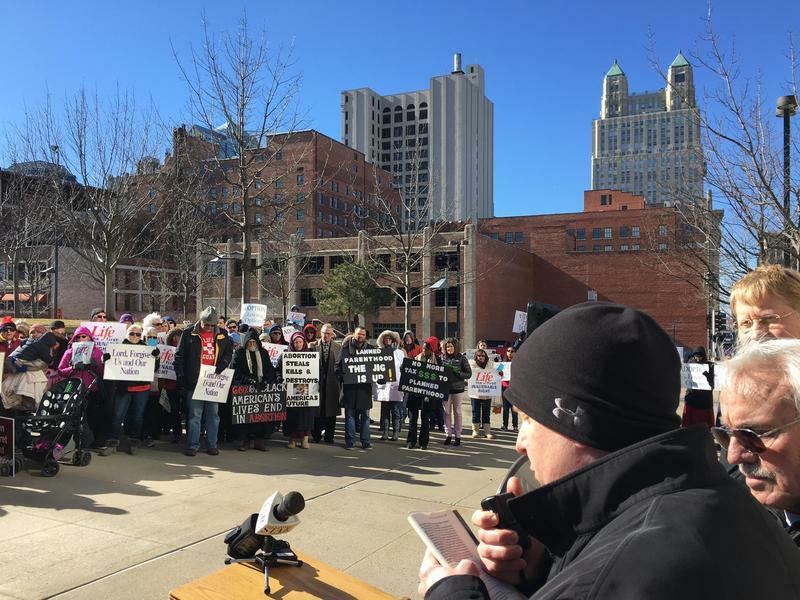 Yesterday’s rally in downtown Kansas City drew about 100 people, which was substantial increase from last year. 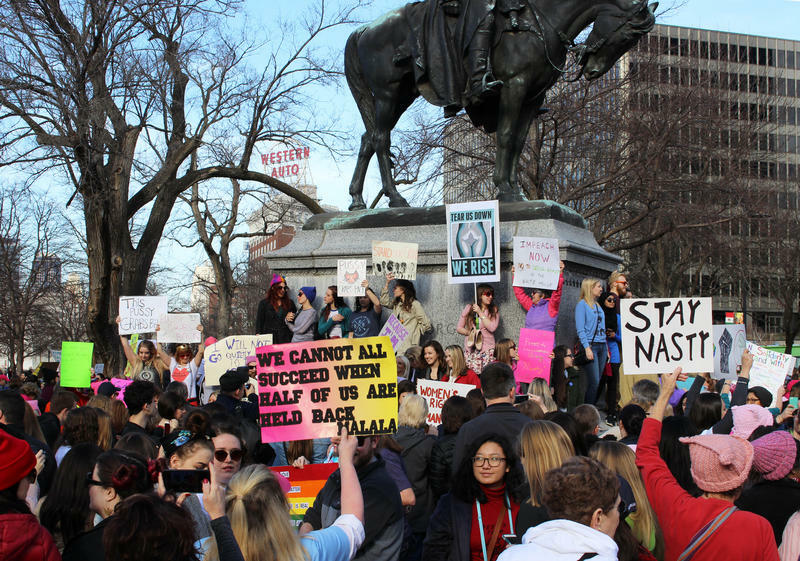 Kansas City author Jack Cashill says the event benefited from the much larger women’s marches last weekend. “Thanks to them there are many more cameras here today than there otherwise would have been,” said Cashill. 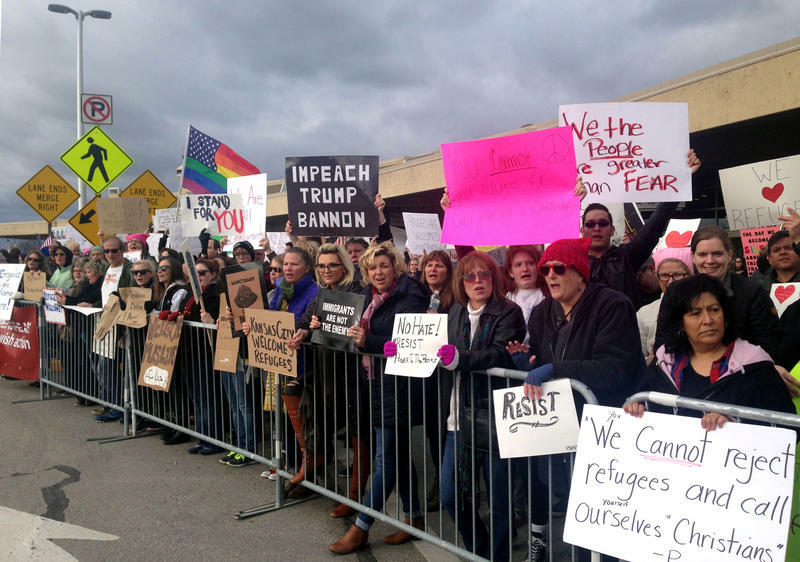 Hundreds of people gathered at the Kansas City International Airport Sunday afternoon to protest the immigration order signed by President Donald Trump on Friday, which banned refugees and citizens from seven majority Muslim countries from entering the United States. These days political news provides plenty of fodder for Up To Date's Ethics Professors. Today, we ask them if it's okay for protestors to break the law for a cause. They also discuss whether Senate Democrats would be justified in stonewalling President Trump's new Supreme Court nominee, the same way Republicans refused to recognize President Obama's.